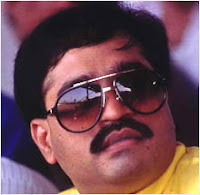 Haq's Musings: Dawood Ibrahim--the Mastermind of Mumbai Massacre? Dawood Ibrahim--the Mastermind of Mumbai Massacre? Yoichi Shimatsu, former editor of The Japan Times, believes that the Mumbai attack was "a made-in-Mumbai production much like the Bollywood crime movies about D-Company’s many bloody gang wars". According to Shimatsu, a Hindu breakaway gang, in concert with Hindutva politicians and police officers, revived the turf wars in 2007 with a spike in shootings and arrests, along with gaining Pakistani approval for Dawood’s deportation. Then D-Company (Dawood's gang), with a few lowly recruits from Pakistan, stuck back. Dawood Ibrahim's name shows up on top of the list of most wanted men Indian Government wants Pakistan to extradite to India. Did he do it? Is he in Pakistan? Is he in Dubai? Where is he? Is he dead? Shimatsu explains Dawood's whereabouts as follows: Washington and London both agreed with India's legal claim and removed the longstanding "official protection" accorded for his past services to Western intelligence agencies. U.S. diplomats, however, could never allow Dawood's return. He simply knows too much about America's darker secrets in South Asia and the Gulf, disclosure of which could scuttle U.S.-India relations. Dawood was whisked away in late June to a safe house in Quetta, near the tribal area of Waziristan, and then he disappeared, probably back to the Middle East. The coordinated nighttime assault against seven major targets in Mumbai is reminiscent of the 1993 bombings that devastated the Bombay Stock Exchange. The recent attack bears the fingerprints of the same criminal mastermind – meticulous preparation, ruthless execution and the absence of claims or demands. The eerie silence that accompanied the blasts are the very signature of Ibrahim Dawood, now a multi-millionaire owner of a construction company in Karachi, Pakistan. His is hardly a household name around the world like Osama bin Laden. Across South Asia, however, Dawood is held in awe and, in a twist on morals, admired for his belated conversion from crime boss to self-styled avenger. His rise to the highest rungs of India's underworld began from the most unlikely position as the diligent son of a police constable in the populous commercial capital then known as Bombay. His childhood familiarity with police routine and inner workings of the justice system gave the ambitious teenager an unmatched ability to outwit the authorities with evermore clever criminal designs. Among the unschooled ranks of Bombay gangland, Ibrahim emerged as the coherent leader of a multi-religious mafia, not just due to his ability to organize extortion campaigns and meet payrolls, but also because of his merciless extermination of rivals. Dawood, always the professional problem-solver, gained the friendship of aspiring officers in India's intelligence service known as Research and Analysis Wing (RAW). He soon attracted the attention of American secret agents, then supporting the Islamic mujahideen in their battle against the Soviet occupiers of Afghanistan. Dawood personally assisted many a U.S. deep-cover operation funneling money to Afghan rebels via American-operated casinos in Kathmandu, Nepal. Eager to please all comers, Dawood occasionally got his wires crossed, providing travel documents and other amenities to Islamist airplane hijackers. In response, Washington spymasters tried to unofficially "impound" his investment in the Nepalese casinos. Dawood's fury is legendary among locals. An honorable businessman, he held to the strict belief that a deal is a deal and there can be no reneging for any reason. As Bombay moved into the league of Asia's premier cities – hotel rates and apartment rentals are the highest in the region – Dawood could have led a comfortable life as top dog. Instead he suffered a spasm of conscience, a newfound moral outrage, when rightwing Hindu nationalists destroyed a mosque in northern India in 1992, slaying 2000 Muslim worshippers, mostly women and children. One day in the following May, his henchmen set off bombs across Bombay, killing more than 300 people. His personal convictions had – uncharacteristically - overcome his dispassionate business ethics. Reeling in shock, his top lieutenant, a Hindu, attempted to assassinate Dawood. A bloody intra-gang war followed, but as always Dawood triumphed, even while away in exile in Dubai and Karachi. In the ensuing decade, at the height of violence in Kashmir, Dawood sent his heavily armed young trainees by boat from Karachi on covert landings onto Indian beaches. This same method was used in the Mumbai assault with more boats, seven craft according to initial navy reports. Why the timing of this raid, on the dawn of Thanksgiving in America? The leader of India's opposition and former deputy Prime Minister L. K. Advani had long sought Dawood's extradition from Pakistan, a move opposed by the then military government in Islamabad. With the restoration of civilian rule, the new Pakistani prime minister (Gillani) consented to New Delhi's deportation request. Washington and London both agreed with the India's legal claim and removed the longstanding "official protection" accorded for his past services to Western intelligence agencies. U.S. diplomats, however, could never allow Dawood's return. He simply knows too much about America's darker secrets in South Asia and the Gulf, disclosure of which could scuttle U.S.-India relations. Dawood was whisked away in late June to a safe house in Quetta, near the tribal area of Waziristan, and then he disappeared, probably back to the Middle East. As in the case of America's Afghan war protégé Osama bin Laden, the blowback to U.S. covert policy came suddenly, this time with spectacular effects in Mumbai. The assault on the Taj Mahal Palace Hotel will probably go down as the first lethal blow to the incoming Obama administration. The assailants, who spoke Punjabi and not the Deccan dialect, went to a lot of trouble to torch the prestigious hotel, which is owned by the Tata Group. This industrial giant is the largest business supporter of the U.S.-India nuclear cooperation agreement, and Tata is now planning to become a nuclear power supplier. The Clintons, as emissaries of Enron, were the first to suggest the nuclear deal with New Delhi, so Obama inherits the Mumbai catastrophe even before he takes office. Dawood, ranks fourth on Forbes' list of the world's 10 most wanted fugitives from the law. After the new round of attacks that killed more than 100 people and laid waste top five-star hotels, Dawood can now contend for the No.1 spot in the coming months and years. In contrast to the fanatic and often ineffective bin Laden, Dawood is professional on all counts and therefore a far more formidable adversary. Yet some in Pakistan's military intelligence agency say that Dawood is dead, killed in July. This version of events is much the same as a variation of the bin Laden story. If true, then his underlings are carrying on the mission of an outlaw transfigured into a legend. Pakistan has become a refuge for all dangerous criminals and terrorists in the world. By providing sanctuary to these criminals, Pakistan is getting a terrible name world over. Everybody believes that Pakistan policy is of sponsoring terrorism. You have to just open the English language news paper of any country and you will see editorial after editorial written about Pakistan. By acting against these criminals and terrorists, Pakistan will benefit greatly in the eyes of its own people and in the eyes of the world. Unlike Mr. Shimatsu, most journalists are quite lazy. They parachute in and just report what they hear from the loudest and most numerous sources, almost all of whom are in India. If you read the dateline on most of the pieces accusing Pak of complicity, you'll notice their location as Mumbai or Delhi. Most South Asia studies departments in the US are staffed by Indian professors. So it is not surprising to see a complete lack of objectivity in reporting by the Western media who only have a passing familiarity with South Asia. I fail to understand as to why is so much of terrorism linked to Pakistan? Are the Pakistanis more inclined towards violence or something else. Why do I not hear about Pakistanis in culture, art, science, movies, etc. Only thing I can read about Pakistan is terrorism happened somewhere and then Pakistan comes into Picture. Your statement " the day is not far when all the countries wud join and pound the pakis to smithereens" sounds like a lot of wishful thinking from a Hindutva bigot. You say: I fail to understand as to why is so much of terrorism linked to Pakistan? Are the Pakistanis more inclined towards violence or something else. My response: Please do yourself a favor and learn more about what is going on in your country against Muslims and Christians that does not make headlines around the world. Also try and find out the unfolding tragedies in Palestine, Iraq, Afghanistan, Sri Lanka, Sub-Saharan Africa etc etc. Stop relying on Indian and mainstream Western media for news and information. Look for alternative sources online and elsewhere. Learn about the history and causes of violence. It'll help you become become more aware and better educated. I never use to hate Muslims but after 21/11, I despise them ! I appreciate your candor when you say "I never use to hate Muslims but after 21/11, I despise them !" . But I am sorry to see you surrendering to the terrorists whose aim is to divide people of different religions and nations and create conflict and chaos. They thrive on such chaos. I hope your anger is temporary and you'll get over it soon to start thinking rationally again. Hate is a strong negative emotion that can consume you and render you unable to be positive and constructive. Are the people of Pakistan that stupid and blind to deny that terrorists are using ( and being allowed to) Pakistan as a base for their activities. The degree of denial is sickening. You say, "Are the people of Pakistan that stupid and blind to deny that terrorists are using ( and being allowed to) Pakistan as a base for their activities. The degree of denial is sickening." I think both Indians and Pakistanis are in denial of the causes and culprits of violence within their own societies. Such denial is costing them both dearly. Unless they both acknowledge their own problems and deal with them squarely, the problems of violence and insecurity in South Asia will not go away. I only wish the handlers of this Pakistan 10-man "sacrificial" mission to Mumbai have the courage to own up their actions - at least as courageous as the men who were misled into giving up their lives for the "cause" (however perverse). That just goes to show that the perpetrators in Pakistan have no doubt about the perverseness of their "cause". Do you think the RSS and VHP in India own up to their misdeeds? It's not the culprits but the rest of society in India and Pakistan that must deal with such groups forcefully to end their reign of terror. It is for Pakistan to end the reign of terror: after all, who spawned this pernicious philosophy of Jihad? India? Purohit is an aberration - his actions were born out of his personal & individual conviction that the only way to stem the jihadis is an eye for an eye. The pantheists, by and large, can accept people of other persuasions unlike us monotheists (yeah, I am a monotheist too - by birth, at least, if not by persuasion). No doubt, there are bad eggs among the pantheists. My personal view is that many among them are intellectually handicapped. I have known quite a few such personally. But what should worry the civilised world is Jihad - which finds social acceptance in countries like Pakistan and has spawned groups like hordes of the "pure". I am firmly of the view that societies created religions - i.e., man made god and not the other way around. Grown (read evolved & developed) men should not wear their faith on their sleeves. every time some one has questioned about pakistan's inclination towards terrorism....you have tried to play the blame game and try talking about vhp and rss. In a country with more than 150 million muslims, being only the second largest muslim populated country in the world, tensions bound to rise in some places between hindus and muslims and riots have happened considering the fact that law enforcement is not very effective in the subcontinent unlike the western countries. When the government in india does a lot of muslim appeasement like the latest reservations to muslims, some people get hurt and tend to become anti muslim. You talk as if muslims are crushed and cant even exist in india. Do you think millions of bangladeshi muslims try to migrate illegally into an already strained india just to get crushed or is it for a better living. Do you think muslims do very well in bollywood and modelling in india because they are born in heaven...no because they look good and are good at it. I have seen hundreds of muslims, who are already poor but have not less than 8 children, just because their religion asks them to do so and the surprise is that they are educated too. When you have that many children, who will look after their children's education and how will they succeed in the severe competition. Do you think the muslim president of india, abdul kalam, was made president by god, no, he studied hard though born in a poor family, and reached the post. There are so many successful muslims in india. None of my indian brothers(muslims, hindus, christians, sikhs, jains, buddhists and everyone) are being trained in india to terrorise another country. They are busy building the country's economy. You say, "I have seen hundreds of muslims, who are already poor but have not less than 8 children, just because their religion asks them to do so and the surprise is that they are educated too. When you have that many children, who will look after their children's education and how will they succeed in the severe competition." Your statement speaks volumes about the kind of Muslim stereotypes you believe and spread. In human history, all demonization and brutality and violence always started with stereotyping. Please get out of shell of ignorance and learn more about Islam, Muslims and Muslim history. Muslims societies have been some of the most generous and tolerant societies in the history of the world. Whether it is Abbasids in Baghdad or Ommayyads in Spain, when Muslims have held power they have have treated non-Muslim with fairness and respect. Persecuted Jews in Europe always found Muslim societies welcoming them. Unlike the great Muslim societies, the treatment of Muslims in India is horrible indeed. According to a report produced by a committee led by a former Indian chief justice, Rajender Sachar, Muslims are now worse off than the Dalit caste, or those called untouchables. Some 52% of Muslim men are unemployed, compared with 47% of Dalit men. Among Muslim women, 91% are unemployed, compared with 77% of Dalit women. Almost half of Muslims over the age of 46 are illiterate. While making up 11% of the population, Muslims account for 40% of India’s prison population. Meanwhile, they hold less than 5% of government jobs. Vallabs, I suggest to you to stop stereotyping and blaming the victims for their ill-treatment. Please read Cassandras within your society such Arundhati Roy, Pankaj Mishra and Yoginder Sikand to learn more about India's reality and deal with it. ps: you didnt notice my point. Neither the indian state nor an organization is training terrorists in my land to create havoc on foreign land. I know you would talk about something else now, I would rather work over time for charity. Stereotyping is defined as applying your perception based on observing a few individuals to an entire group. I don't engage in that. I have never called the entire "nation of India" or all "Hindus" as evil or "terrorist" or "inferior" (based on the actions of Hindu fanatics like RSS and VHP) which you have done to all Muslims and Pakistanis. Whatever I say is based on real data and it is not used to malign an entire people. When I read you comments, there is a conspicuous absence of any real data. As to training "terrorist" to kill people in foreign lands, just look at the history of RAW in Bangladesh(Mukti Bahini) and Sri Lanka (LTTE) as published by the FAS. It will tell you how terrorists were trained in camps in India by Indian military and intelligence to cause murder and mayhem in foreign lands. As to state sponsor of terrorism, please don't forget the involvement of Modi and Gujarat state in anti-Muslim pogroms as documented by international human rights groups and Tehelka. If you are a frequent reader of this blog, you would know that I have written extensively about India's accomplishments as well its failures. I have also been very critical of Pakistan in many of my posts. It seems that you only want to hear, read and believe good things that help boost your ego as an ardent Indian nationalist, disregarding any genuine criticism of your country. I don't think your attitude will serve you or your country right. Stop being a mouthpiece of the Indian propaganda machine. Please grow up. Learn to think for yourself if you really care about you and your country. It'll help you, your country and the region of South Asia if you show more maturity in your attitude. Hey, we aren't nice. Why not just forget us. We took no notice of you, but 10 of your 'betas' paid us an unwelcome visit recently. A year later (after Mumbai), perhaps we can look back on the attack with a greater degree of objectivity, and count the winners and the losers. The real winners, of course, are militant groups, like the Lashkar-i-Taiba, and their shadowy backers in Pakistan. They have achieved what they set out to do: sabotage the peace talks between India and Pakistan. Although these negotiations had not achieved a breakthrough, they had greatly improved relations between India and Pakistan. The second prize goes to the security establishments in both countries, although this is truer of Pakistan than it is of India where the military is firmly under civilian control. The reality is that soldiers and spies need enemies to justify their lavish budgets. Peace between traditional enemies means cuts in defence, and less toys for the boys. Obviously, the biggest losers are the victims of the attack, and their friends and families. But the other big losers are the people of the subcontinent. Millions in the region will continue suffering, just because their leaders remain locked in a 60-year old conflict. And when there was a glimmer of hope of some kind of resolution, relations have plunged to a new low. The militants’ victory is not restricted to poisoning bilateral relations between India and Pakistan: by hitting Mumbai, it has ensured that there will be no cooperation between the two countries in the war against extremism in the foreseeable future. This is no small victory. The war being waged on the Pak-Afghan border is perhaps the most decisive conflict of our times, and its outcome will affect the region for years to come. In order to combat the Taliban and their various partners effectively, active cooperation between India and Pakistan is crucial. After the Mumbai attack, India has refused to pursue peace talks, arguing that as long as Pakistan tolerates the presence of terrorist organisations on its soil, there can be no meaningful negotiations. Again and again, the Indian leadership and media have echoed the mantra of Pakistan ‘not doing enough’ against the planners of the Mumbai attack. In several articles, I have argued that it is precisely because of the atrocity that peace talks need to be pursued with greater focus and political will. Does India really want to hand a major victory to the perpetrators of the attack? I have also suggested that in order to reassure the Pakistani military that it has nothing to fear on its eastern border, India could easily withdraw one of its divisions deployed there. This would encourage Pakistan to transfer more troops to its northwest where the real battle against extremists is now going on. They miss the point that one negotiates with one’s adversaries, not one’s friends. And they have the bizarre notion that peace is a reward for good behaviour, not a mutual need. The fact is that India needs peace just as much as Pakistan does. True, it is Pakistan that is currently being battered by an unrelenting wave of terrorism. But a Pakistan destabilised by extremist violence should be New Delhi’s worst nightmare. Those who think a victorious Taliban would stop their mayhem on Pakistan’s eastern border are living in cloud-cuckoo land. These thugs have no respect for international boundaries, and have repeatedly declared their intention to ‘liberate’ Kashmir. Many of them also want to re-establish Muslim rule over India. These insane goals will ensure that terrorist groups will go on trying to hit Indian targets. Former Intelligence Bureau (IB) Special Director Rajendra Kumar also contradicted the Indian government's claim today, adding that there was no chance Ibrahim would leave Pakistan, a report published on IBNLive quoted him as saying. Prior to winning the elections in India, Indian Prime Minister Narendra Modi had said he would bring Dawood Ibrahim to India to be tried for the 1993 blasts in Mumbai if he came into power. Pakistan routinely denies Indian charges that it shelters Dawood Ibrahim — one of India's most wanted men — ever since the don became a fugitive for his alleged role in the serial bomb blasts that hit Mumbai in 1993 in apparent retaliation for the demolition of the Babri Masjid in December 1992. Over 250 people were killed in the attacks. Dawood stands convicted in absentia in India for the blasts, together with several Mumbai accomplices. Originally from Jogeshwari, Zingada had attempted, at Shakeel’s behest, to kill rival gangster Chhota Rajan in Bangkok in 2000. Zingada was arrested after the incident and sentenced to 10 years in prison. After he completed his jail term in 2012, India and Pakistan had fought in the Thai court over his nationality. Rajan’s aide, Rohit Verma, was killed in the Bangkok attack, and after Zingada was arrested and sentenced, the Mumbai crime branch team had submitted a dossier on him before the Thai court listing his criminal activities in the city between 1994 and 1997 along with “incontrovertible proof of his Indian nationality”, including passport details, fingerprints and DNA samples of his kin. Zingada gained notoriety after he shot dead a key member of gangster-turnedpolitician Arun Gawli’s polit ..